Posted June 2nd, 2017 by Media Heroes. Cycling is a fantastic sport that is available to almost everyone. Increasingly, Brisbane roads are becoming better suited to cycling, and more bike paths are emerging across the city each year. Better driver education is also contributing to a safer riding environment for everyone. However, as a cyclist, it is important that you look out for your safety too. There are some things you can do to secure your own safety when you hit the road. To help you out, we have compiled a list of the five most important bike safety tips. Alarmingly, many cyclists are riding on the road without helmets. 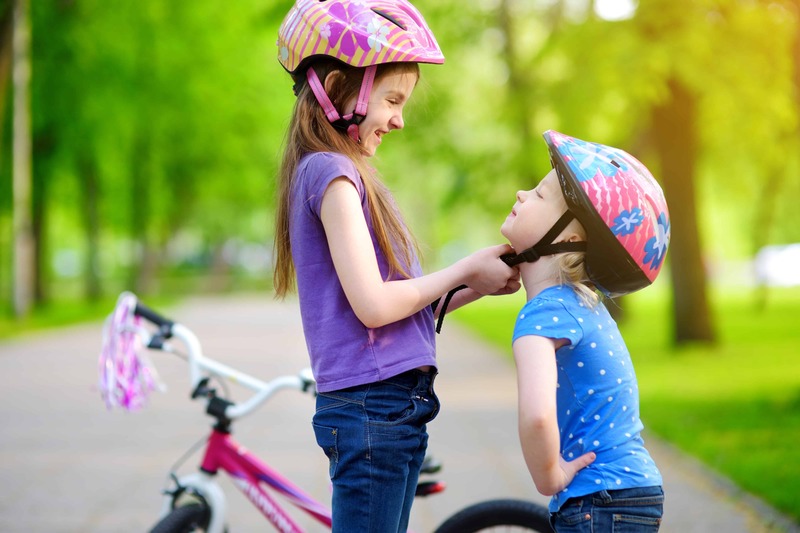 Certainly, not all bike helmets are a fashion statement, but they do protect you in the event of an accident. Falling from your bike in even the slowest of circumstances can be catastrophic. The damage caused to your head and brain from a direct fall on concrete or bitumen can see you hospitalised. In recognition of this, the Queensland government has introduced laws some time ago that mandate bike helmets. So not only do your risk injury by failing to wear one, but you also risk an on the spot fine. Just as bike helmets are a legal requirement for cyclists, so too are lights when cycling at night. There is a very good reason for this. When the sun goes down, you are almost invisible to motorists as you ride. Even reflectors built into your bike are not a guarantee of visibility—although they are a useful addition. If you are on the road at night, you should have a white light facing forward, and a red light facing back. This makes you visible to motorists in both directions. Your forward facing light can also act as a headlight, to highlight any obstacles in your path. As a cyclist on the road, your bike is actually classed as a vehicle. It is this classification that provides you with the entitlements you enjoy as a road user. However, it does come at a cost: you have to follow road rules in the same way that a car does. This might seem strange, or even a little frustrating, but it is vital to keep you and other road users safe. This means you must stop at traffic lights, give way when appropriate and, of course, refrain from consuming alcohol. When you cycle on the road, you should always follow the direction of the traffic. This means staying to the left shoulder of the road and avoiding one-way streets that are travelling in the opposite direction. By doing this, you are ensuring that motorists can see you, with sufficient time to react. If you are cycling on the wrong side of the road, oncoming traffic may not have enough time to react when travelling towards you. This can be catastrophic and is to be avoided at all costs. Finally, you should aim to make your movements predictable. To do this, you should avoid erratic swerving or trying to duck in front of cars. If you need to turn off the road, you should use one arm to indicate your direction of travel. This is both courteous and beneficial for your safety. By remaining predictable, you allow motorists to take note of your presence, and drive with due care for your safety. In many cases, other road users will appreciate this just as much as you will. For all your bike needs in Brisbane, get in touch with the experts at Hoffy Cycles today on (07) 3269 1213.